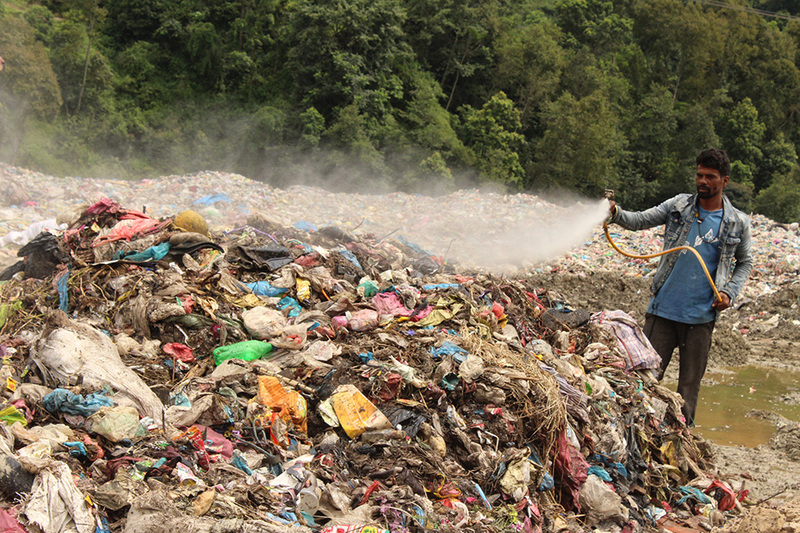 KATHMANDU, Sept 5: Locals residing near the Tinpiple-Sisdole landfill site are dealing with various kinds of health hazards due to unmanaged waste disposal. 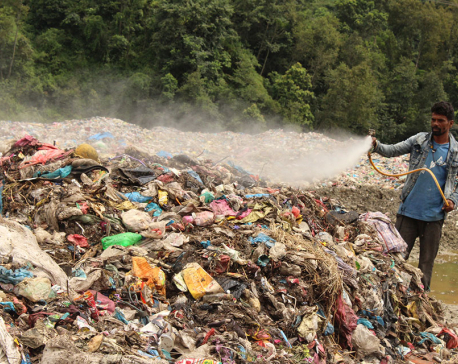 According to Balami, people around the landfill site are obliged to consume contaminated food and water. The flies and insects roaming around the garbage often sit on the food and vegetables which are consumed by people. These insects play a vital role in spreading various kinds of diseases in the locality. Not just people but even the cattle are equally affected by the rotting garbage. As most of the locality's cattle graze around the dumping site, they fall ill. "This ultimately affects the quality and quantity of milk produced by buffaloes and cows," Balami stated. Likewise, a large number of stray dogs who live around the landfill site often get infected by various diseases. Ishwori Bajracharya, senior health worker at Sisdole Health Post (SHP) said “The children below aged five and people above 60 years are more likely to get infected from different kinds of diseases in comparison to other age groups." Raj Kumar Neupane, in-charge of SHP, informed Republica that more than 60% of patients come to the health post to treat various kinds of diseases and infections derived from the waste. What has made the situation worse is the short supply of required medicines. Due to this, the service seekers have to return home without treating their diseases. 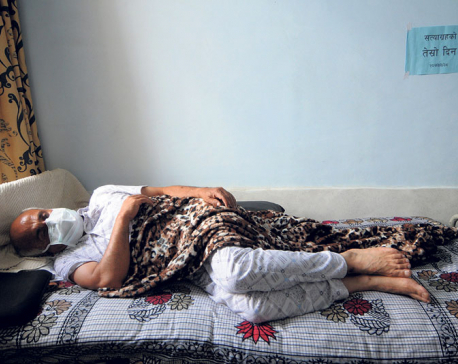 "It's sad that we don't even have paracetamol in our health," Neupane added. Two years ago, a large number of people of Sisdole suffered from cholera due to the unmanaged waste. According to Neupane, everyday a minimum 10 patients visit the health post. Though people have time and again urged the metropolis regarding the waste management, nothing has been done. Recently, the locals vented their ire at the metropolis by obstructing the pickup trucks used for collecting garbage for twenty days. However, they agreed to lift the ban from Thursday after a meeting held between the locals and the authorities of Kathmandu and Lalitpur metropolitan cities.